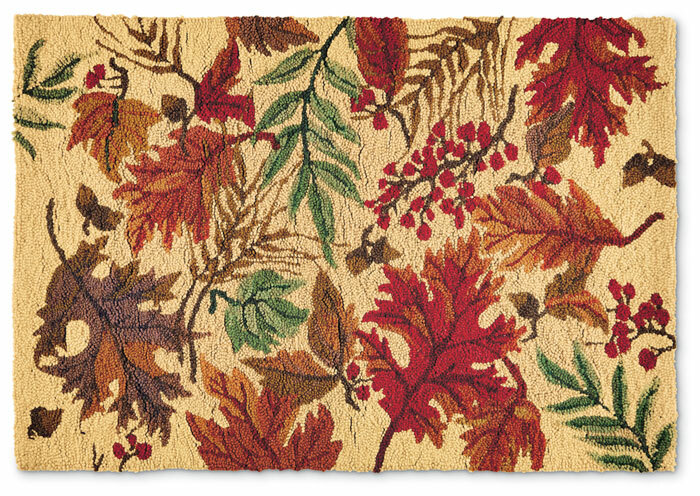 Bring the colors of fall to any room with our rug, which is made by hand, one at a time, using 100% wool yarn. On the reverse side is cotton canvas backing. Formerly $80, now 30% off. Discount may not be applied to prior purchases.